MySQL replication enables one database server (we’ll call it the Master server) to be replicated to one or more database servers (we’ll call those the Slave servers). 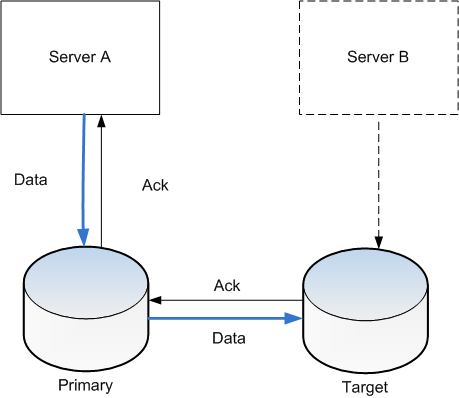 With MySQL, replication is asynchronous. This means your Slave servers do not need to be connected permanently to receive updates from the Master – for example, you could stop the Slave thread on the Slave server and start it back up at a later time and it would automatically catch itself up to the Master. Pretty cool stuff. There are many different ways to setup replication. This tutorial will cover a simple setup (single Master server replicating to a single Slave server) that replicates all databases from the Master to the Slave. For the sake of this article, we’ll assume that your OS is CentOS and the mysql and mysql-server packages have already been installed. We’ll also assume you want to configure replication on a brand new set of servers with no data (no databases yet, this is important as any existing data will throw off the replication). Please note that this article could be useful for other flavors of Linux as well. Now let’s get to the fun part. In this tutorial we’re going to configure MySQL to replicate over the private IPs of your cloud server. As such, you’ll need to note the private IP of each server. You want to note the IP that is shown for ‘eth1’. The IP address is listed right after ‘inet addr:’. In this example, our Master server’s private IP is 10.1.1.1. Repeat this on the Slave server and note the private IP there. The IP address for our Slave server in this example is 10.1.1.2. Once you have both private IPs noted somewhere, you’re good to start configuring. You’ll need to edit the my.cnf file on the Master server to enable binary logging and set the server’s id. This will enable binary logging and set the Master’s server-id to ‘1’. 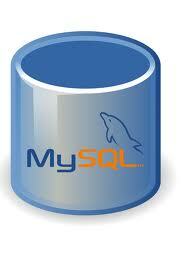 Restart MySQL for the changes to take effect. You’ll need to edit the my.cnf file on the Slave server to set the server’s id to something different than the master. This assigns the Slave a unique server-id. Now lets restart MySQL so these changs take effect. The Slave server will connect to the Master via a standard MySQL user and password. This user will need to have been granted the ‘REPLICATION SLAVE’ privilege. Let’s create that user on the Master server now. You should be at the mysql prompt on the Master server. Once there, let’s create a new user and grant him the proper privilege. This statement is basically saying grant the repl user replication slave access to any database/table on this host from the Slave server’s private IP. Now tell the server to reload the grant tables with the statement ‘FLUSH PRIVILEGES’. At this point, it’s a good idea to make sure you’re able to access the Master from the Slave using the credentials you just created. Alright, now back to the Slave server. Be sure to use your private IP for your Master server. In this example, mine is 10.1.1.1. Do you get a MySQL prompt? If so, you’re successfully logged into your Master server using the new ‘repl’ user you just created. Alright, we’re about half way there. On the Master server, we’ll need to find out the binary log it is currently using and the position it is at in that binary log. If you haven’t logged out of MySQL from creating that replication user, you should be at the MySQL prompt already. Go ahead and lock the tables so we can safely grab that data. Log into the master server. Now we’ll use the ‘SHOW MASTER STATUS’ command to get all the data we need. Note the current binary log and position. In our example, the Master server is currently on the mysql-bin.00003 binary log and is at position 239. Now let’s remove that lock. Master server binary log and position. Now it’s time to use this information to connect the Slave server to the Master server. Let’s start configuring the Slave. Once at the mysql prompt, we’re going to change the Master information with the ‘CHANGE MASTER TO’ statement (so the Slave server knows where/how it’s connecting). Ok, now start the slave thread on the Slave server. Lets make sure that replication is working with the ‘SHOW SLAVE STATUS’ statement. If you see that Slave_IO_State is ‘Waiting for master to send event’ and Seconds_Behind_Master isn’t ‘NULL’, your replication is working! If it does show NULL, go back and double check your ‘CHANGE MASTER TO’ statment to make sure all data is correct. Another check your can do is: create a new database on the Master slave and then run > SHOW DATABASES; on the Slave server and look for the database you just created on the Master.